This product contains 20 x 38g gel sachets. 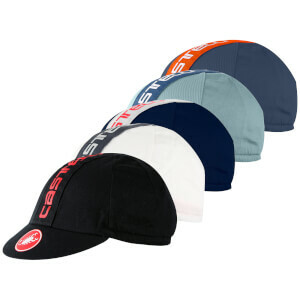 Easy to consume, and provides good energy recovery. 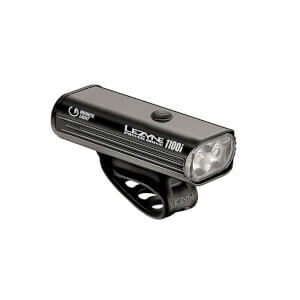 Good for long distance ride. Perfect, not too thick or strong. Just right. Honestly the first and only type of gel that I can actually take without gagging!!! They taste great and are more 'liquidy' than the average gel which makes swallowing super easy! The Berry flavour is awesome, as for the other flavours they are good too!!! these taste really good and don't leave a nasty aftertaste like some brands. 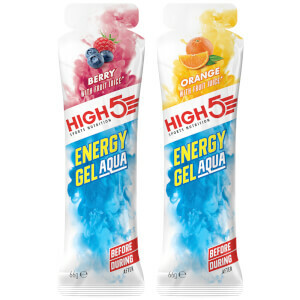 These are the best tasting gels I have tried and an absolute bargain at this price, delivered in record time as well. What is not to like! 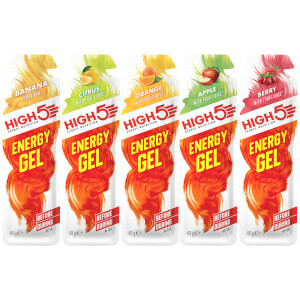 I had about 6 boxes of High5 gels from probikekit now, haven't had any issues with either probike or the product itself. Although I'm not over keen on the banana gels but nothing offensive about them just not really my taste. I highly recommend them and will continue to buy again in the future.